Across the upper Midwestern United States, March of 1965 was cold, snowy and miserable. The month began with blizzard conditions across the region on March 2, bringing heavy snow and a biting 50mph wind. Another, more significant blizzard would follow on St. Patrick’s Day, March 17. Several feet of snow buried the region, while 60mph winds whipped the landscape and blew the powdery snow into vast drifts tall enough to bury cars along the streets. 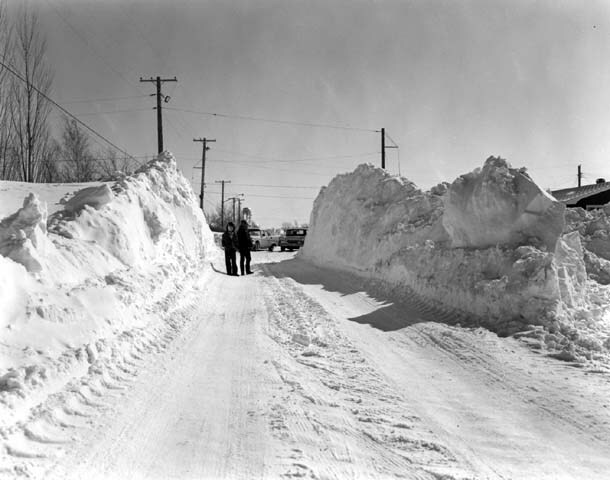 In many locations, 1965 ranked among the top-20 coldest and snowiest Marches on record. A respite would not come until the first week of April, when a surge of warm air brought unseasonable warmth and temperatures into the low 70s. The warmth would not last long, however, as another arctic air mass settled over the region on the 8th with temperatures slipping back to the 30s and 40s. St. Patrick’s Day Blizzard. March 17, 1965. Unknown to all outside the meteorological community, a nearly unprecedented atmospheric setup was approaching from the west-southwest.